So, I created this card, and had fun stamping my favorite color combo - ROYGBIV - Red, Orange, Yellow, Green, Blue, Indigo, Violet. I used Stampin' Up! 's Gorgeous Grunge, and Starburst Sayings with the coordinating thinlet set. I added several stitched borders using my sewing machine. I love this card and I hope you like it too! Thanks for stopping by! Very cool! I love the splatter look and rainbow colors. 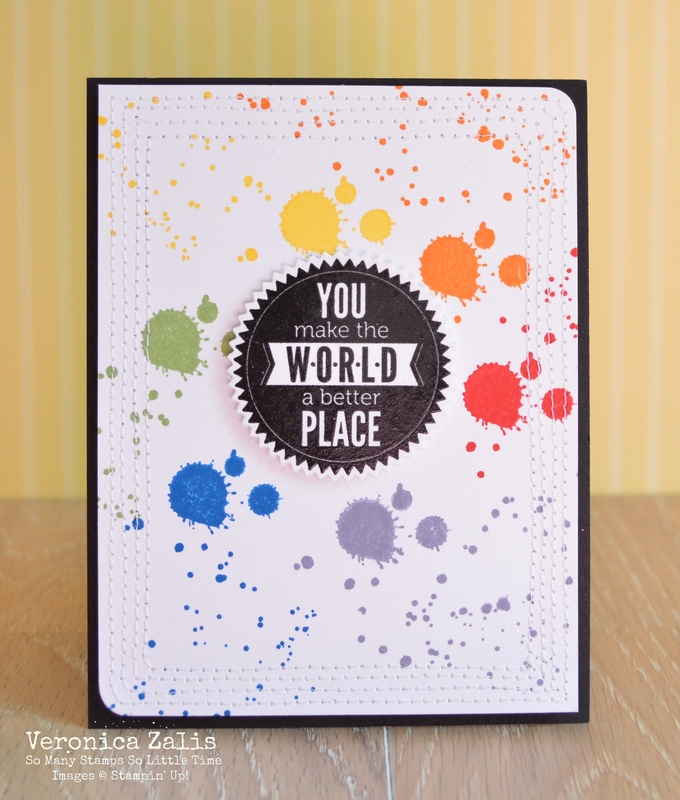 awesome card.. love how you added the slash of color..
it's awesome...love the splatters and the sewing!